One of the best ways to improve your home’s curb appeal, increase its energy efficiency and make your interior feel more comfortable is by replacing your old and drafty windows. When planning a window replacement project, you should always work with a trustworthy and experienced window company. They won’t make any mistakes during your installation that would affect the lifespan and performance of your new windows. TALK TO YOUR WINDOW COMPANY. 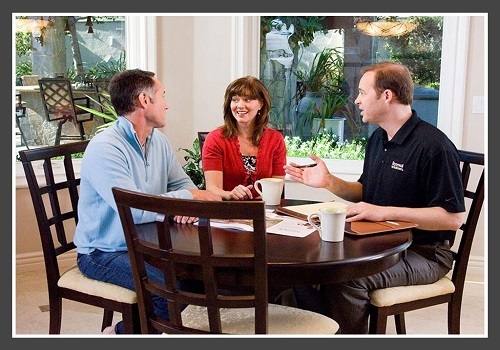 A good window company will answer all of your questions and help you with all your concerns. In today’s article, we will help you prepare for your window replacement project by explaining what you need to know before, during and after the job. You should ask your contractor these questions so you know exactly how well your project is going and understand what to do if there is an issue with your window installation. Choosing the right window company for your project is crucial if you want to have a smooth and successful window replacement. You should interview your prospective contractors and see if they have what it takes. Ask them about their qualifications and business experience, how they will protect your home and what they plan to do if there are problems with your project. Your prospective window replacement contractor should have all the qualifications and licenses necessary in your area to replace your windows. They should understand the local codes and regulations. When looking for a prospective contractor, we recommend choosing an experienced local company. They have the knowledge and skills needed, and they have successfully completed many projects, making it more likely for them to do a good job. 2. How Will You Protect My Home? A window replacement project can generate a lot of debris and dust, which can affect your home. 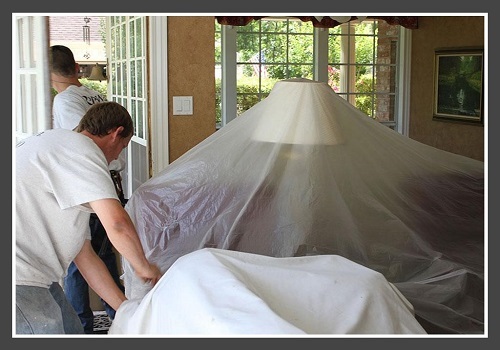 Ask your contractor if they are going to provide drop sheets and coverings for the furniture in your home. You should also ask if they are going to protect your floor by wearing appropriate footwear that won’t track in mud or dirt. The people who are going to replace your windows will move through your interior a lot during the project. PROTECTING THE HOME. A window replacement project can generate a lot of dust and debris. 3. What Concerns You About My Project? A good window company has plans already in place to prevent delays during your project. Your contractors have planned for the worst case scenario, and they know what to do to make sure that your project gets completed. They can also anticipate possible problems regarding your project, and they can take steps to prevent these problems from being an issue. Ask your contractor what they plan to do to prevent project delays. Once you’ve found a reputable window company, you should start preparing for your project. To have a quick and stress-free window replacement, you should have all the information you need to make well-informed decisions. Ask your contractor about your project’s schedule, how to contact them and the person who will be responsible for your project. The timeline for your project is more than just a schedule. In addition to listing the start and end date of your project, it should also include information about project milestones. These milestones should help keep the project on track because you can easily tell if the project is proceeding as scheduled. The timeline should also have information on when your windows will be delivered from the manufacturer. 5. How Do You Plan on Communicating? Many reputable window companies take some time before working on a window project. This is because they have a busy schedule and complete many jobs. They are also waiting for your new windows to be delivered. While waiting, you should be able to contact your contractor and ask for information regarding your project. Ask your contractor about the best way to talk to them whether it’s through a phone call, email or a face-to-face meeting. 6. Who Will Be Supervising the Window Replacement? You have to be familiar with the person who’s in charge of replacing your windows. They need to be someone you can get along with and trust. Get to know this person, and see if you can imagine working with them during your window replacement project. Ask them what their typical working day is like and what you can expect from your window replacement. 7. How Should I Prepare My Home? You should prepare your home before your window contractors arrive so that they can get to work as soon as possible. 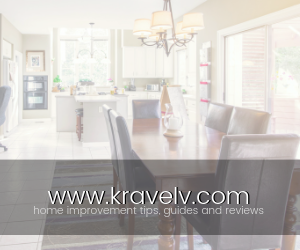 The window company should be able to give you more detailed information, but, in general, you have to remove all window treatments and clear out the areas surrounding your windows. We also suggest covering your furniture and removing any wall hangings. Talk to your contractor ahead of time so they know to which areas of your home they have access. Your relationship with your contractor doesn’t end after they’ve finished replacing your windows. You will still need to talk to them if you have any problems with your newly installed windows. In addition, you should take this final opportunity to ask them important things about how to make the most out of your new replacement windows. 8. Where Do I Go for Warranty Concerns? Mistakes during the window installation and manufacturing defects are rare, but they can still happen. That’s why window contractors and window manufacturers offer warranties. 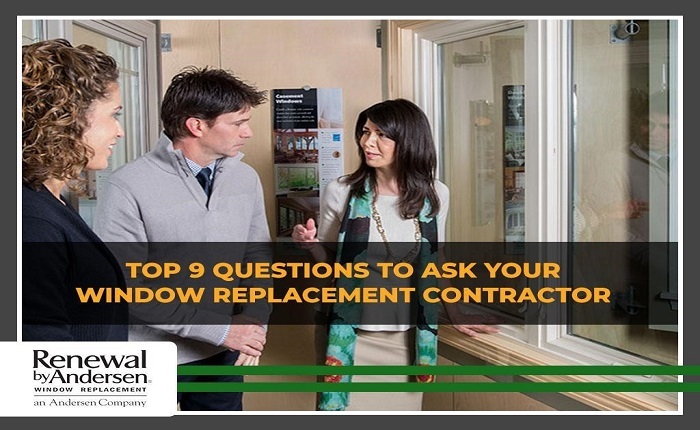 Ask your contractor about who to talk to and what to do if there is an issue with your newly installed replacement windows. Sometimes, you need to contact the manufacturer, and, sometimes, you need to contact the contractor. 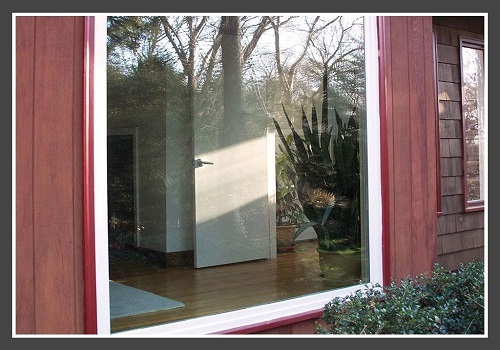 NEWLY INSTALLED WINDOW – Ask your contractor how to take care of your new windows and how to keep them beautiful. 9. How Do I Take Care of My New Windows? Your contractor should be able to teach you how to clean and maintain your newly installed replacement windows. If possible, ask them to walk you through your home after the windows are installed. Ask them to demonstrate how to open and close the windows, how to clean them and about possible signs of window problems. A professional window company will be ready and willing to answer all of your questions. 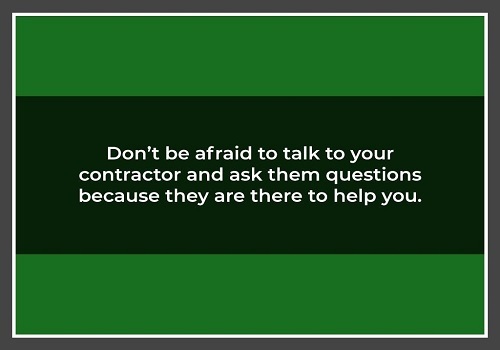 Don’t be afraid to talk to your contractor and ask them questions because they are there to help you. Proper communication with your contractor will ensure that both of you are on the same page. This will greatly reduce the risks of miscommunication and project delays. Christine Salamone is Creative Director for Renewal By Andersen® of Western New York. Christine is a window replacement expert with over 10 years of industry experience. She and her team have provided quality service to homeowners in the Rochester and Buffalo area for many years.